When did boys go from being MEN to BOYS? Point of view looks at from which perspective a narrative is presented to the audience. Some narratives shift the point of view, while others only ever present what the protagonist experiences. Another way of thinking about point of view is to look at who’s side the audience is on. When determining the point of view you need to examine how the audience understood this. What conventions were used to reveal the point of view. Like; Narration, Camera Techniques, Flashbacks, Images of the character etc. The narrative can be read by several characters point of view. In most cases it is between two characters. From the images below list the media code and conventions employed to reveal the point of view of the narrative to the audience. Structuring of time as utilised in narratives is not how time passes in the traditional sense, but how time is structured in the media product. The order and duration of events and how they are reflected to the audience. For example, flashbacks and flash forward. Is a character pregnant and has a montage been used to indicate 9 months has past? Is the narrative set in a chronological order (LINEAR) or a non-linear structure. Why is this so? What effect has this created on the narrative for the audience. In the Intern how is structuring of time reflected to the audience and what conventions informed the audience of the time structure? How was the ideology of GENDER reflected within the audience’s understanding of the narrative in this text? Story Arc is a critical factor to the ideology of gender and how femininity is represented and constructed in the text, The Intern. This 2015 text demonstrates that the female protagonist, Jules can be identified to the audience as a successful, working mother. However, as this narrative progresses events unfold that indicate her character is impacted by her success. This story arc allows the audience to follow her, success, failure to victory story line. It also proves that audiences in 2015 are still not ready for a narratives based solely on the female character winning on every occasion. Have a think about how men were represented in the film. Have a look at the image to the right and explain what you see? Make sure you identify at least three code or conventions in your discussion. Analyse how the relationship between TWO media codes and /or conventions convey meaning in another narrative that you have studied this year. In the text, The Intern (2015), Point of View and Character Development reveal the ideology of gender and the changing identity of how females and males are represented in the American society. Audiences of this text relate heavily to the characters Ben played by Robert Deniro and Anne Hathaway’s character Jules. The point of view of the narrative is presented from Anne’s character Jules. To the audience Jules is a successful business owner who’s husband is the stay at home dad, that takes care of their five year old daughter. By allowing Jules’s character to retain the point of view of the narrative, the audience link their understanding of women in the workplace with her. The ideology of women being independent, educated and successful if one that American audiences can relate to in the year 2015. Men are increasingly being represented as the father figure who is caring, compassionate and less of the hero character. The audience can identify this through Jules point of view. Although she is the CEO of her business and the income provider for her family, the narrative reveals that her husband is cheating on her. Despite the audience feeling empathetic towards her character, the narrative propels them to understand that this affair is necessary for him to, “feel like a man”. Therefore the ideology of men needing to feel empowerment and strength is still necessary in the American society. “Women can still not have it all”. The successful career, a husband willing to stay home and raise the children. The point of view now shifts within the narrative to Robert’s charter Ben, an older, chivalrous, gentleman whom reveals the ideologies of the 50’s to the audience. His remark to Jules in the resolution of the narrative is a profound moment within the narrative and demonstrates how the ideology of masculinity has evolved. “You should be able to have a successful career and have your husband not cheat on you”. Character development of the two leading protagonists establishes a strong connection to the ideology of masculinity and femininity in the film text. Over the course of the narrative, Anne Hathaway’s character rides the ‘arc’ to arrive at the destination of victory and happiness. Her character is introduced in the opening sequence as being successful and throughout the development we see her character go through set backs and failures, which is a common story arc sequence. The audience is presented with the, damsel in distress, requiring the assistance of a man to help her. In this case, the audience is presented with Robert’s character Ben supporting her to victory in the closure of the narrative. Proving that America still retains the dominant belief that women require advice in order to, “have it all”. Media narratives can convey ideology through the selection and application of media codes and conventions. Analyse how media codes and conventions convey ideology in the media narratives that you have studied this year. The relationship between media and society is a complex one. Most media products will allow audiences to interpret and understand the narrative through the use of different code and conventions aligned to the media form. Along side the conventions employed to interact with the audience are the ideologies that are implied or explicitly injected into the narrative. It would be professionally and financially irresponsible for film-makers, newspaper editors, photographers, writers and advertising executives to ignore or insult the core beliefs of the very market they are trying to influence. Looking at gender as an ideology, we can see that overtime the representation of femininity and masculinity has evolved. Audiences are now being presented with different ideas of women on screen to reflect the changes in society. Women are now considered to be independent, educated and strong. In the same way that men are now represented as compassionate, father figured and less of the dominant character. In both film texts that we explored this year, it was evident that femininity and masculinity still has a long way to go if promoting equality and gender role switching is the dominant social belief in the American and Australian society. 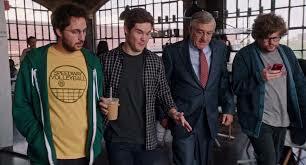 The Intern (2015) represents both female and male leading characters and the narrative is based around the ideology of gender. The text was produced for the American market, therefore conveyed the message of women as professional CEO’s in its plot. Conventions such as story and character arcs, acting and multiple storylines are employed by director, Nancy Meyers. The audience are often relayed the message that women are more than capable of running a successful business but cant seem to be both a mum and full time employee. The audience are also presented with the idea, that in order for men to be the stay at home dad they need more empowerment, hence placing the co-current multiple storyline of the affair in the narrative. Proving that the American audience is still not 100% ok with the idea of the stay-at-home father, having them feel some compassion for his character. Anne Hathaway uses her stylistic acting to encourage the audience to relate to her demanding work ethic. Her character Jules is often seen walking with purpose and attitude and seen ignoring those beneath her. Her tone of voice is high pitched and direct, indicating that she is confident with her professional abilities. However, when her character is represented as the mother, her confidence decreased. The audience notice her tone of voice to be shaky with her sentence structure out of place. Her body language is clumsy and we often see her tired and defeated whenever she is around her daughter. This would indicate to the audience that she is not able to do both things well, be a mum and be the CEO. This aligns with the American attitudes about mothers in the workforce only making up 23% of the population. Anne’s character goes through a transformation throughout the narrative and the story arc of, success meets failure meets victory is presented to the audience. It is here we see the explicit ideology of gender in play. Director Meyers, understands her audience and allows them to experience the narrative as they would feel comfortable with. She brings the resolution of the narrative to a halt by keeping the married couple together, even after the affair storyline is revealed. This ensuring that the romantic genre stays in tact and the audience feel satisfied with the plots final outcome. Providing the audience with the conclusion that in 2015 women can be both successful in their career and family life. Demonstrate your understanding of the ideology gender. In your response included an example of this ideology from one of your texts that you studied this year. Gender is an ideology that is often represented in media texts. It is an ideology that most audiences can relate too. The ability to construct a female and a male character has significantly changed over the years. As social values change, so to do audience expectations and understanding of how they identify with femininity and masculinity. Producers of media texts and narratives are aware of this shift in representation and have constructed their characters accordingly. 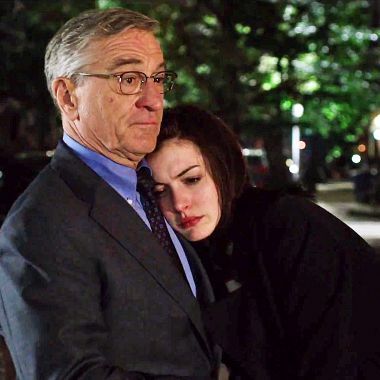 An example of the change in ideology representing the modern female character is in the film text, The Intern (2015). 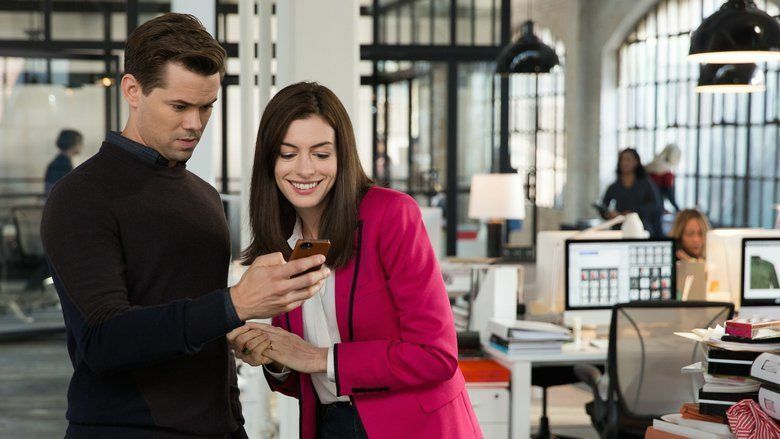 Anne Hathaway is cast as the savvy CEO of her own successful fashion business. Her character is often referred too by the audience, as the women who can do it all. Raise a family, run a business and be a good mother to her daughter. However, the narrative in this text provides the audience with a shift in the story arc to reflect the social values of that time period. We see Anne’s character losing her motivation and realising that she can not do and have it all without a cost. This reflects the attitudes held by many women in American in 2015. Hence the ideology of the women being represented as these power agents of change but not quite as equal to that of their male counter parts. In one of the texts you studied, how was multiple storylines employed to convey the ideology of gender? Throughout the film text ‘The Intern’ the ideology of gender is portrayed differently within the concurrent storylines. Anne Hathaway displays femininity in a strong an independent manner. Her character is a true representation of females in the current business world. However, there is an underlying storyline that is happening within the text that degrades this sense of femininity. This is the story of her husband’s affair. Although the text displays femininity very modernly, this added story arc creates a curveball in this idea. Question: Explain how a particular ideological point of view can be seen in one of the media narratives you have studied this year. 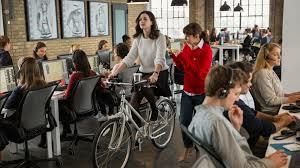 2015 text, The Intern, directed by Nancy Myers follows the narrative of protagonists Jules (Anne Hathaway) and Ben (Rober Dinero). The plot explores the ideology of gender and the changing interpretations of the ways in which men and women are expected to conduct themselves in a western society. Successful female, protagonist Jules, is depicted as a driven, accomplished women who runs her own online fashion business. Her character also has a husband whom stays at home and looks after their daughter. Through the use of Jules point of view, audiences gain an understanding of the changing dynamics among women in the workforce. The film was distributed to an American audience in 2015. During this time period the ideology of women has advanced where they are able to grow self-governance and liberty in society. Audiences can relate to women gaining the victory moment in film narratives. Alongside this, gender can also be seen where men are gaining greater diversity in a domestic role. Where the role of the income provider has shifted and audiences are now not threatened by the idea of this character being represented as either male or female. In this film text’s case, we see Jules as the income provider. Another situation where the point of view of the leading character is representing the social values of America in 2015. Analyse how the relationship between TWO media codes/conventions convey meaning in another narrative that you studied. In the text, The Intern (2015), Point of View and Setting disclose the ideology of gender and the changing identity of how females and males are perceived in society. Audiences of this text relate heavily to the character on Anne Hathaway's character as Jules. The audience perceive Jules as a career driven women with a stay at home husband. Through holding this point of view, the audience will be intrigued to explore a society where this is accepted and happy to work behind such a woman. The ideology of women becoming more educated and moving away from being a stay-at-home mother was portrayed in this film through point of view. The point of view through Jules, being a career driven women and leaving her husband at home to stay with her child can be greatly admired by women of the year 2015, when the film was released. Within the film Jules becomes aware that her husband is cheating on her. The audience feeling saddened by this are made aware by the narrative that this was necessary for her husband to feel like a man and not adapt the full bearings of a stay-at-home father. Therefore, the ideology of men needing to feel less sensitive but rather muscular and empowered is also displayed in the film, reflecting society at the time. Setting is used within the narrative to encapsulate the result of a driven women, through her high class interior of her home and grant company. Her company is located in a large warehouse that homes her employers, all having the required workspace needed. The setting is to a fine standard, showing her wealth and growth of the company. The result of showing everything large, clear and contemporary creates the meaning that women are capable of creating a welcoming environment, projecting their qualities of compassion and drive to be successful. Women are no longer behind the scenes, as she frequently is seen riding a bike within her setting, standing out. Explain how cause and effect propels a narrative. Using cause and effect, provide an example of a situation that underpins the ideology of gender in one of the text you studied. Throughout a narrative, cause and effect is used to create change, spark reactions and provide engagement with the target audience of the text. Without goals, ambitions or desires from characters, change wouldn’t occur. The director would use multiple cause and effect situations in order to alter and change the plot and to allow the audience to anticipate what effect that moment or event will have on the development of the narrative. It is the use of characterization and story arcs that allow the code and convention of cause and effect to become prevalent. In the text, The Intern (2015), Cause and Effect is used to reveal the ideology of gender and the significant role it plays in shaping femininity and masculinity for characters. The successful female protagonist of Jules (Anne Hathaway) is depicted as ambitious and driven woman, highlighting to the audience aspects of a working female society. 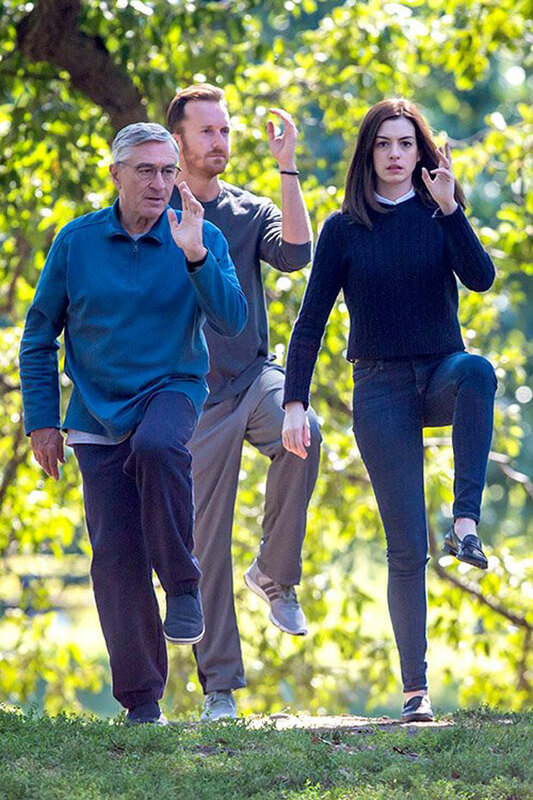 However, after the discovery of her husbands (Matt) affair - in an attempt to gain back his masculinity - Anne Hathaway's character is faced with the challenge of the perusing the future of her successful business herself or recovering her family life through the introduction of an external CEO to manage her business. The occurrence and cause of a family crisis in a time of great success for the leading female protagonist, and the effect on her decisions demonstrates that there are challenges in regards to women being able to 'have it all' in a modern day society. It can be seen that the cause of gender, influences the outcomes of characters within this narrative. However, through this chain of cause and effect situations we see the resolution of the narrative being that Anne's character's forgives her husband for the affair and continues her success as the companies CEO. 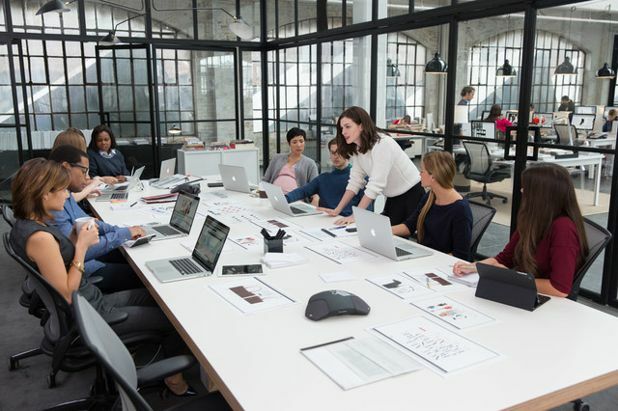 This persuades the audience to consider that the ideology of gender is evolving and women are becoming increasingly more equal in business and relationships. 1. Define how codes and conventions have been used in the construction of The Intern. 2. Define how a challenge to ideology was made implicit within the character of Jules. 3. Now explain how this ideology was supported by other scenes within the text. 4. Explain how the producers of this text utilized the ideology of ‘gender’ to create an empowering narrative for women in the year 2015.